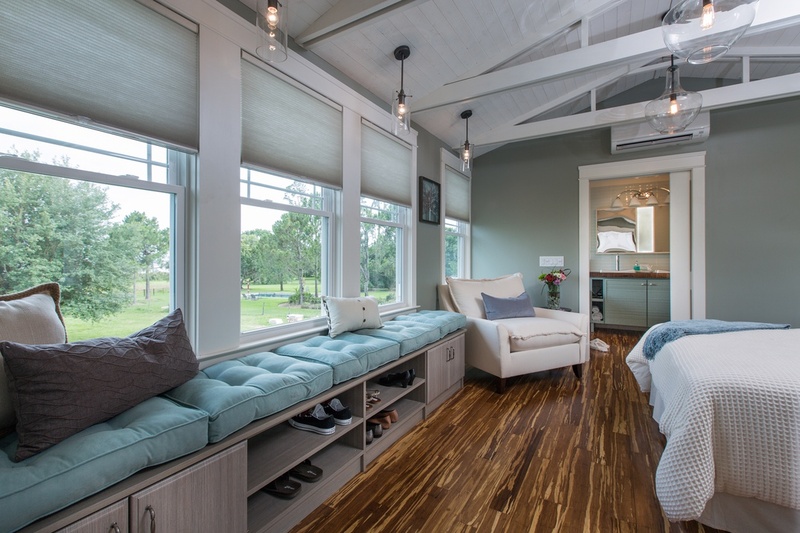 A custom window bench provides a cozy, inviting spot to sit and enjoy the view with plenty of open and closed storage below. Photos © 2014 Scripps Networks, LLC. Used with permission; all rights reserved.